Are you a Scrabble fan? 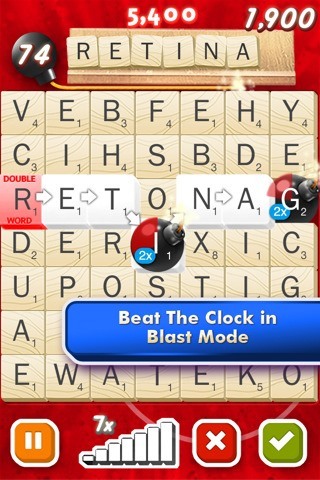 Want to play Scrabble for free on your iPhone, iPod Touch, or iPad? Well, look no further. Just recently, EA has released a new game of theirs, SCRABBLE Blast, onto the App Store. SCRABBLE Blast allows you to play 2 out of the 4 game modes possible for free, however, if you want to get the other 2 modes you'll have to either download SCRABBLE Free or pay $1.99 via a in-app purchase to obtain those other 2 modes.